We Found in the year of 2007, production and marketing of led light power supply, it is also one of the earliest companies that concentrate on led power supply. 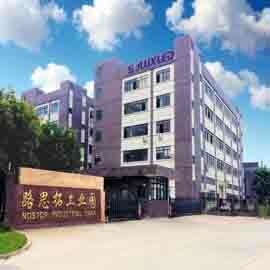 Located in Jiangmen city, Guangdong province, now we have DIP production line, SMT high speed production line, EMC test machine, advanced researching & testing equipment. 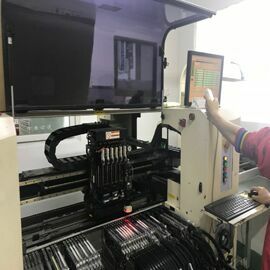 With support of a number of talent, Hua Guang electronic is growing up in the field of led driver. Our products include internal led driver, external led driver, waterproof led driver, dimmable led driver, RGB led driver, AC/DC12-24V input led driver and high power factor led driver. Wattage ranges from 1w to 200w, with advantage of small size, multi-proteciton, high PF, high efficiency, stability, high reliability and strong anti-interference. 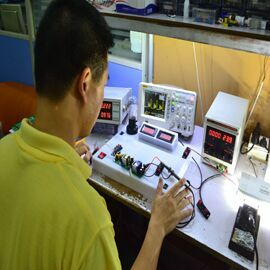 We could also design the power supply according to our client's requirement and provide them the best driving solution. We have our own brand "Soluxled" which is popular all over the world.Exports total reach more than manufacture 5000,000pcs . With high quality products, reasonable price and good service, we have won recognition from domestic and overseas customer. We will take "mutual win-win benefit and forge ahead" as our operation philosophy, stick to the principle of "customer first" and provide high quality service to our customer.